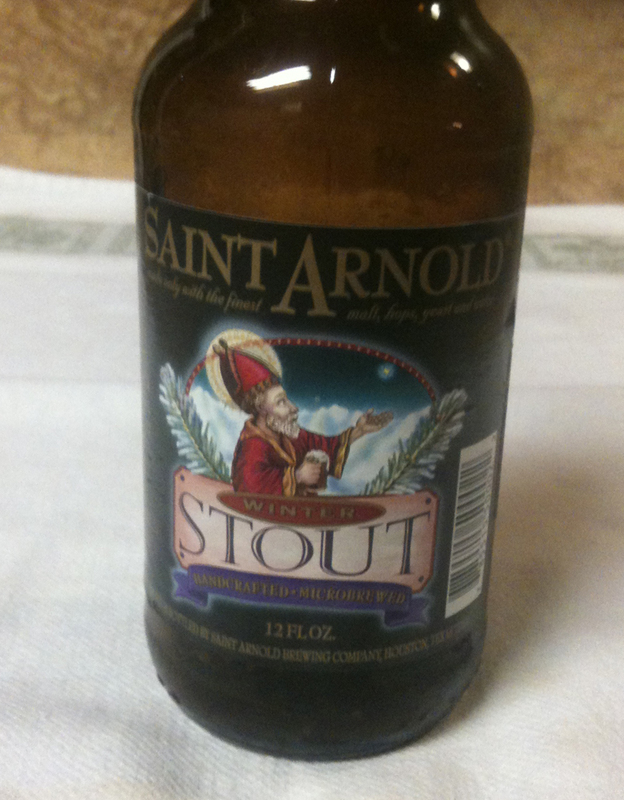 Tonight I am trying the seasonal Winter Stout from Saint Arnold Brewing Company. A twelve ounce bottle, and their web site shows 5.6% ABV and 36 IBUs. 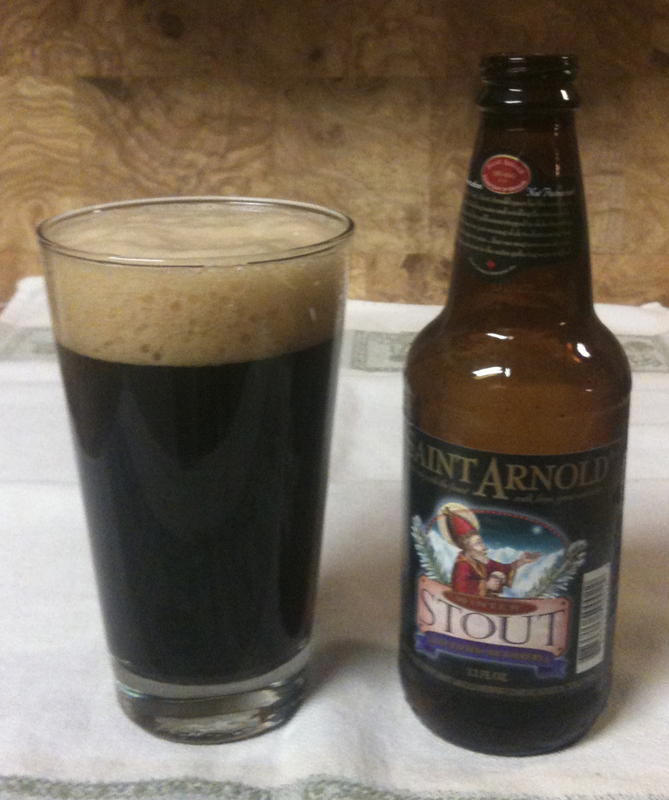 The Winter Stout poured with a VERY thick head. The head was a nice brown, but not real dark. The beer's color is a darker brown, with a touch of red. Although it is fairly dark, you can see some light through it when held up to the light. I am getting primarily hops in the aroma and a slight floral note. The flavor strength is medium, or a little milder. There are some hops and malt, but neither is real strong. It feels kind of 'heavy' in the mouth but the taste isn't that heavy. Very little aftertaste and almost no bitterness. This is a good stout for people who aren't big fans of the heavy, strong, high-alcohol stouts.